In 2005, when I was a Pharmacy Technician, my boss was looking for ways to cut spending all his hard earned “drug” money on employees, so he bought a robotic drug dispenser. Well, all of us Cpht’s were worried we were going to lose our jobs and we were right to be concerned because that fear is becoming reality for thousands of positions across America. That dispensing machine was a bomb and our jobs were saved for the time being, but robots get better in time. I thought about this problem for years now and with the explosion of AI the last few years, has made my husband and I reconsider our goals in life. When the corporate world no longer needs human beings to run their machines, what will all the displaced “migrant and homeless” unemployed do??? Can you, will you begin school again to learn the “new tech world” and hope to be able to get a job at 50 yrs or 60 yrs old? How will the middle aged compete with their own children for jobs? We can see all the “new” homeless on our streets and in our cities that were more or less put there because of 2008 recession. Are we seeing the edge of WW3 and Armageddon? What else could the wealthy elite possibly do with 7 billion hungry mouths to feed? If you do not know Yeshua Christ is, it’s time to get to know the One who laid down His life for YOU. The KINGDOM OF GOD is at hand!!! Time to REPENT because we are not promised another day…. According to a new report by organizers of the Davos Forum, machines are increasingly moving in on jobs done by people. 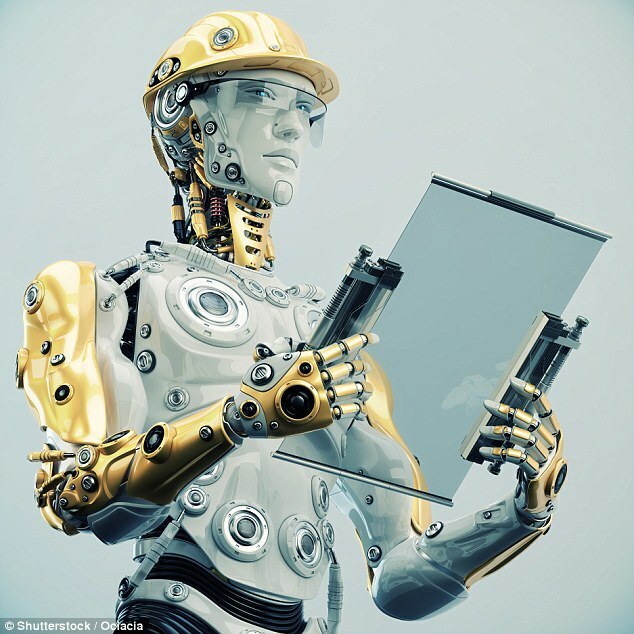 The report finds more than half of workplace tasks will be taken over and carried out by machines by the year 2025. The forum also predicts the loss of 75 million jobs worldwide by 2022. On the positive side, 133 million new jobs will be created by all of this. You should take the time to read this scary report. You’ve got about 2.5 years to adapt your life to this coming change and be aware – this change IS coming and YOU WILL BE affected. by a machine or an algorithm. By 2022, this picture is projected to have somewhat changed, with machines and algorithms on average increasing their contribution to specific tasks by 57%. For example, by 2022, 62% of organization’s information and data processing and information search and transmission tasks will be performed by machines compared to 46% today. Even those work tasks that have thus far remained overwhelmingly human—communicating and interacting (23%); coordinating, developing, managing and advising (20%); as well as reasoning and decision-making (18%)—will begin to be automated (30%, 29%, and 27% respectively). Relative to their starting point today, the expansion of machines’ share of work task performance is particularly marked in the reasoning and decision-making, administering, and looking for and receiving job-related information tasks. A net positive outlook for jobs: However this finding is tempered by optimistic estimates around emerging tasks and growing jobs which are expected to offset declining jobs. Across all industries, by 2022, growth in emerging professions is set to increase their share of employment from 16% to 27% (11% growth) of the total employee base of company respondents, whereas the employment share of declining roles is set to decrease from currently 31% to 21% (10% decline). About half of today’s core jobs—making up the bulk of employment across industries—will remain stable in the period up to 2022. Within the set of companies surveyed, representing over 15 million workers in total, current estimates would suggest a decline of 0.98 million jobs and a gain of 1.74 million jobs. Extrapolating these trends across those employed by large firms in the global (non-agricultural) workforce, we generate a range of estimates for job churn in the period up to 2022. 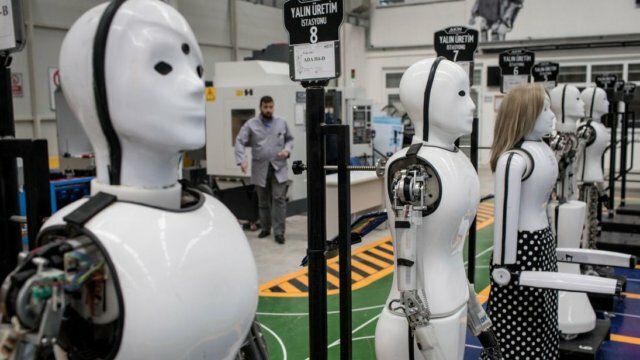 One set of estimates indicates that 75 million jobs may be displaced by a shift in the division of labour between humans and machines, while 133 million new roles may emerge that are more adapted to the new division of labour between humans, machines and algorithms. While these estimates and the assumptions behind them should be treated with caution, not least because they represent a subset of employment globally, they are useful in highlighting the types of adaptation strategies that must be put in place to facilitate the transition of the workforce to the new world of work. They represent two parallel and interconnected fronts of change in workforce transformations: 1) large-scale decline in some roles as tasks within these roles become automated or redundant, and 2) large-scale growth in new products and services—and associated new tasks and jobs— generated by the adoption of new technologies and other socio-economic developments such as the rise of middle classes in emerging economies and demographic shifts. Emerging in–demand roles: Among the range of established roles that are set to experience increasing demand in the period up to 2022 are Data Analysts and Scientists, Software and Applications Developers, and Ecommerce and Social Media Specialists, roles that are significantly based on and enhanced by the use of technology. Also expected to grow are roles that leverage distinctively ‘human’ skills, such as Customer Service Workers, Sales and Marketing Professionals, Training and Development, People and Culture, and Organizational Development Specialists as well as Innovation Managers. Moreover, our analysis finds extensive evidence of accelerating demand for a variety of wholly new specialist roles related to understanding and leveraging the latest emerging technologies: AI and Machine Learning Specialists, Big Data Specialists, Process Automation Experts, Information Security Analysts, User Experience and Human-Machine Interaction Designers, Robotics Engineers, and Blockchain Specialists.